How to show Ajax callout extender with custom style ? In this article I have explained about how to create AJAX call out extender with Custom designed format. For example we are display error list using validation summary instead of that we can show small error info pop up near the textbox control using this callout extender with custom design. Learn how to show Ajax callout extender with custom style? How to show Ajax callout extender with custom style? For example I have registration page like this. 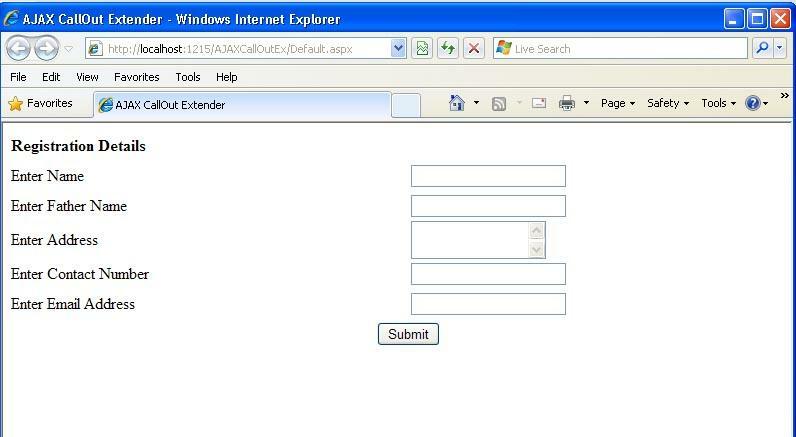 Define call out extender WarningIconImageUrl , CloseImageUrl images in the callout extender property and assign that required field validator TargetControlID of call out extender. 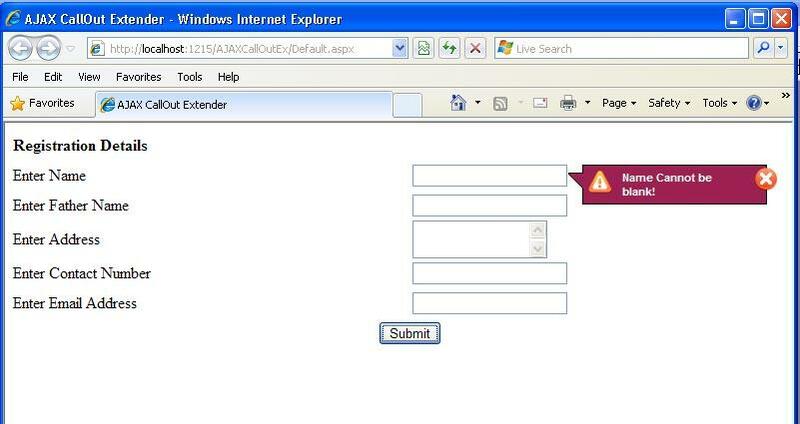 That's all after run your page call out extender show error information to customer. Here with I have attached source code download it and try to learn about AJAX Callout extender with custom design. I hope my article help to know about AJAX Call out extender.